Are you wondering what to see in Granada? 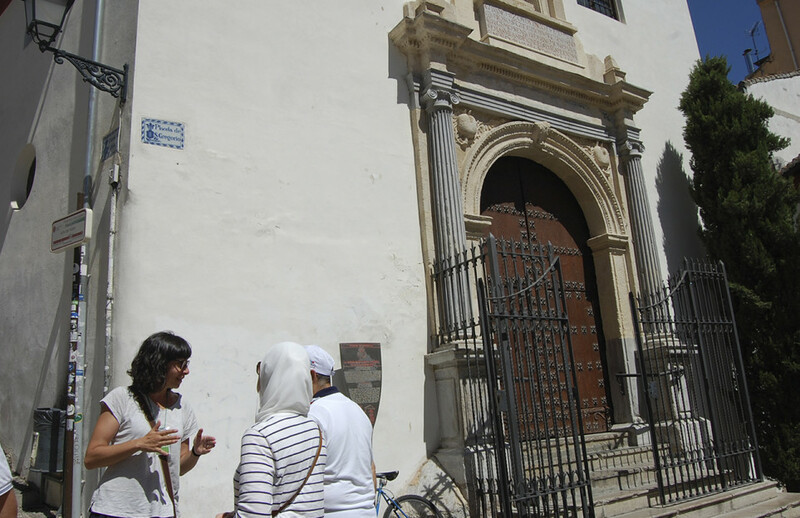 We offer you a walking tour in a premium small group around the unmissable sights of the city of Granada, guided by passionate experts. We will take you through the fascinating transformation of Granada, from Islam to Christianity, with all its legends and beauty. Reduced groups of maximal 12 people. Daily all year long: 10:30 a.m. Adults: 25€ entrance fees included (Except if Monuments are closed for reasons beyond our control). Customer will have a total refund if cancellation is requested 24 hours before the tour or earlier. No refund will be applicable if customer requests cancellation later or if there is a no show. All the essential sights on one exceptional walking tour of Granada; a unique opportunity to take the best memories of the city away with you. The dense network of the Historic Centre offers you the chance to appreciate the contrasts between the Islamic past and the Christian present. You’ll see the difference between the magnificent Cathedral buildings and the Madraza, before entering the tiny streets of the Alcaicería, the old silk market. The history of the merchants trading there is still present in the aroma of leather and traditional crafts. 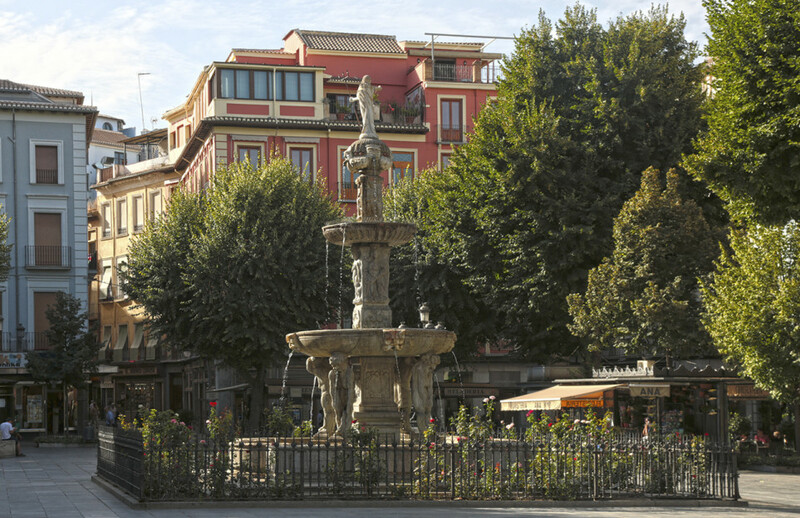 You’ll wander through the picturesque, relatively unexplored streets of the oldest area in the city, the Albaicin, declared a World Heritage Site, along with the Alhambra, since 1994. Let its maze of narrow winding streets, its Cármenes and minarets, captivate you with their authentic flavour of Moorish heritage. We’ll also take advantage of the privileged location of the remarkable Albaicin to amaze you with the magnificent views of the Alhambra that its vantage points offer us. 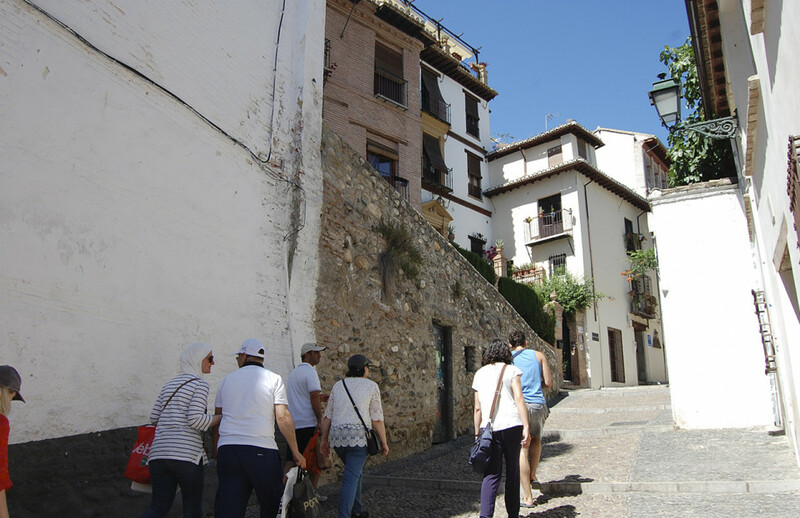 Then, you’ll feel all the vitality of the streets of Granada by walking along the Carrera del Darro. Take this chance to enjoy a completely different way of walking around Granada on our most requested tour. It’s been a success since 2003, when the first of thousands of satisfied clients took this journey into the past of this fascinating city with our trained tourism professionals.